The Witches Sabbat. Francisco de Goya (1789). 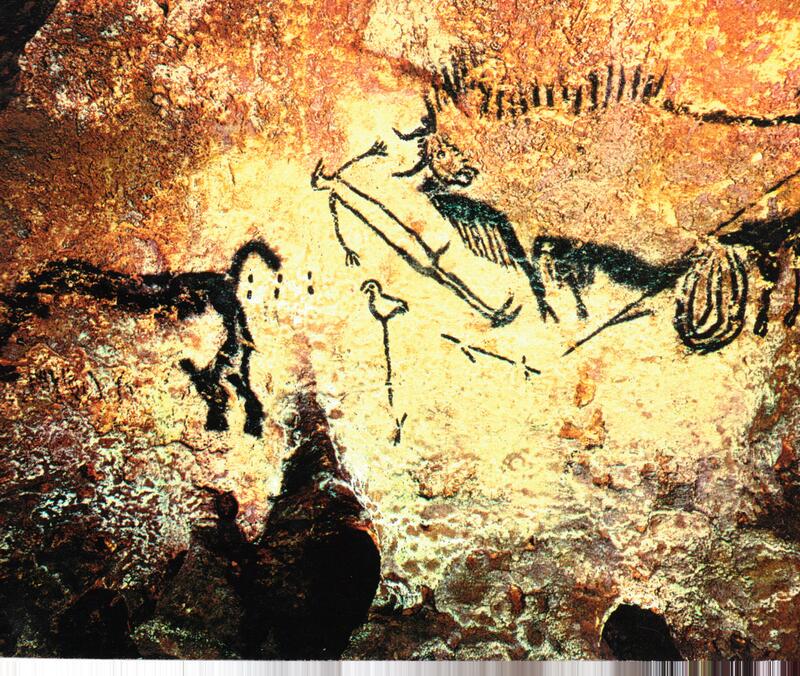 It has been claimed that the origins of the ‘horned god’ are during the Aurignacian and Magdalenian of the Palaeolithic period (Murray, 1932) as suggested by the cave painting of the so-called ‘sorcerer’ in the Caverne des Trois Freres. The figure seems to be performing a ritual, possibly shamanic, in disguise. The Palaeolithic cave painting the ‘sorcerer’ was regarded as a singular horned god or human wearing horns (Purkiss, 2006), where additionally Murray (1970) stated that the Stag-Man was the “…most important of the horned figures of the Palaeolithic period…figures usually represented with the horns of a goat or chamois…”. 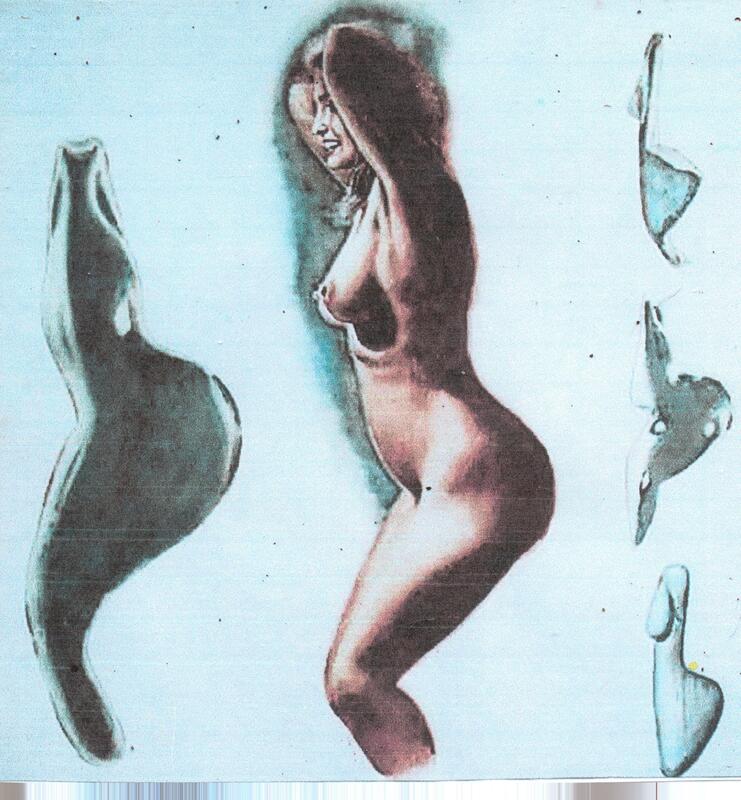 However, Margaret Murray’s interpretation of , and theory concerning, the image been rebutted at a later date (Hutton, 2006). 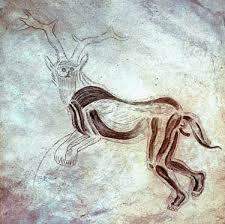 The ‘sorcerer’ at Les Trois Freres, Lascaux circa 13000 BCE. Public domain. 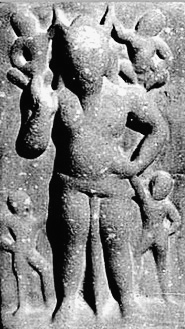 The horned god or figure appears during the Bronze Age, originally in the Near East, Mesopotamia, and in India with many early figurines found at Mohenjo-Daro. Many horned deities are found in Bronze and Iron Age Egypt with evidence that horns were a sign of divinity. For example it is known that the gods wore the horns of sheep, goddesses the horns of cattle, the earliest found being a female with buffalo horns. In the near East, especially in Mesopotamia – specifically Assyria and Babylon – horned effigies were plentiful. Whereas in ancient Egypt the chief god Amon wore the curved horns of the Ram of Thebes, the Babylonian great deities wore seven horns. 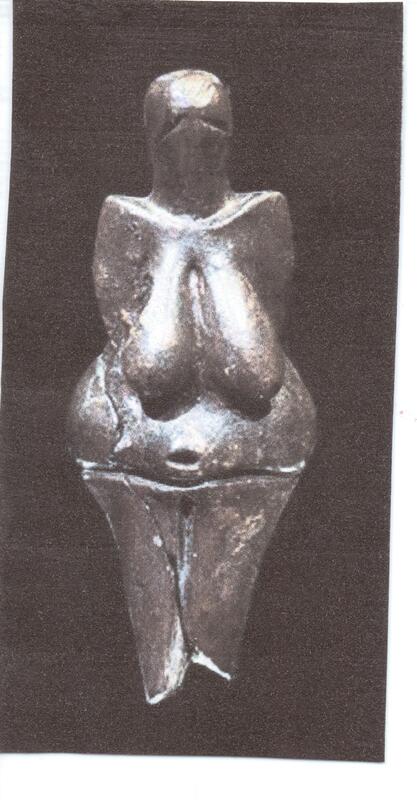 Two horned goddesses and gods were most likely aboriginal deities. Many Neo-pagans, including Wiccan practitioners and believers, believe the Horned God to be an aspect of a ritual transformation. For Wicca the Green Man is often adopted as a variant of Cernunnos, the Horned God. This ancient Celtic deity is also known as Cernowain, Cernenus, Herne the Hunter, Hu Gardarn (the Druid god), Vitiris, Lord of the Wild Hunt, Balatucadros. The Horned God of nature, the underworld and the dead, an eclectic deity who incorporates fertility aspects of Silvanus, Dionysus, Pan and Faunus, and who is an Earth Father and active aspect of nature. The various names given to this pagan god reflect the location of his cult. 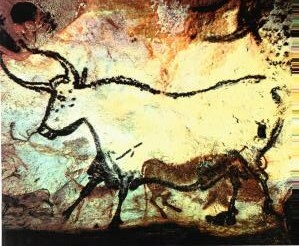 His sacred animals were the stag, bull, goat, and bear. 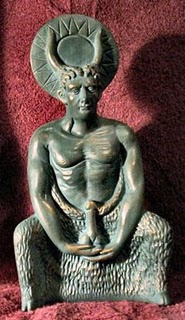 Many images of Cernunnos show him bearded, clothed, with two stags antlers, whereas French statues from Rheims and Paris represent him as sitting between the gods Mercury and Apollo (Peake, 1922). The implication that the witch- cult emerged in late antiquity, as worship of a ‘horned god, is that the Celtic horned god or Cernunnos, was merged with the Graeco-Roman Pan or Faunus (Luck, 1985). Into the modern beliefs and organisations the contemporary New Age, Wiccan and Neo-pagan groups and practitioners have inculcated the Horned God (as Green Man) into their symbolism and ritual. In this sense the Green Man has taken the form of an ancient nature spirit, still recognised and worshipped as a partially remembered symbol. However, the concept of the ‘horned god’ pre-dates Wiccan concepts. The figure of the anthropomorphic horned god of the early 2oth century is a fusion an eclectic creation that has been imbued with pseudo-historical origins (Bailey, 2008). Neo-pagan symbolism celebrates the eternal cycle shown by seasonal nature, as represented by a deity who dies and returns annually. Just as Cernunnos’s stags, rams, bulls, and antlered horned head represented virility, fertility, animals, nature and reincarnation. 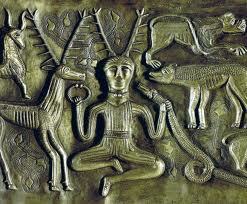 As the Horned God ancient Cernunnos is regarded as he who opens the Gates of Life and Death. Baphomet, an aspect of Cernunnos or Herne from Britain. Public domain. The archetypal figure of a ‘horned god’ is believed evolved from much more ancient nature deities such as the Celtic Cernunnos and his mythos as male counterpart of the original Earth Mother from the Stone Age. However, horned deities appear in early copper-age Egypt, also the bull-man or Minotaur of Crete proving that “…the two-horned godlings of Mesopotamia are more primitive than the great seven-horned deities of late historic times.” (Murray, 1932). The Wiccan idea of the sacrificial and then resurrected young man as son and lover of the Great Goddess has been an undercurrent of pagan tradition since the middle ages. 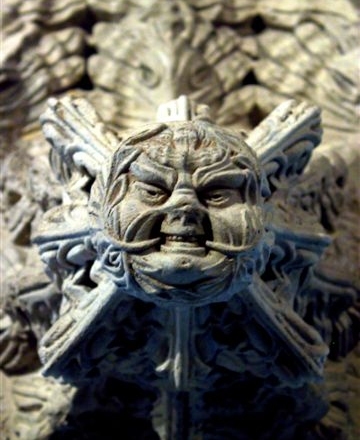 This interpretation of the Green Man as a pagan survival is for some “…based upon a false premise.” (Hayman, 2008) and therefore not an ancient relic of fertility ritual. The Old Gallic god Cernunnos is also referred to as the Celtic deity Dis (Peake, 1922) which equates with the classic Jupiter Cernenus and thus the Dispater from whom the Gauls claim descent. 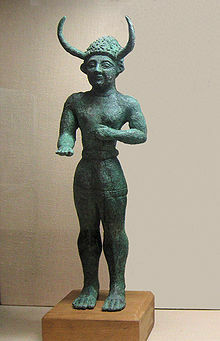 Bronze figurine from Enkomi, Cyprus. Public domain. In the ancient pagan religion the New Year celebration of November was Samhain which in current times is Halloween (All Hallows Eve) which is followed by All Saints Day. In the month of May there comes the time, Beltane, of the new beginning reflected in later Christian belief as the resurrected Christ at Easter. If the Green Man was a symbol of fertility for the pagans it suggests he was an “…old forest god of regeneration and renewal accommodated by the Christian church and reinterpreted as a symbol of resurrection…” (Satchell, 1999). In later times this can explain how the Green Man, as the surrogate Horned God, became entwined in folk tales surrounding John Barleycorn, Robin Hood, and Jack-in-the-Green. An alternative interpretation nonetheless stipulates that there is “…no case for arguing that the Green Man is a figure of ancient or medieval pagan origin.” (Hayman, 2008). As a nature deity the Horned God, as a fertility deity, became a component of beliefs and customs that are agricultural and associated with sowing and ploughing not to mention the ensuing harvest and annual killing of animals. Again, the allusion can be made to a May King of natural revival at spring time (Basford, 1996) and of nature’s demise at winter time. In the mind of medieval populations the cycle of life after death would logically symbolise a myth of resurrection. In Europe the ‘horned god’, or Cernunnos as the Romans called him, was for the pagans merely continuing the cult of a non-Christian god. In the British Isles there are ecclesiastical and judicial records affirming the worship of the horned god – maintained because of the Christian religion and priestly bias. What was true for Britain remained true for France. The great god of Gaul was called Cernunnos by the Roman occupiers, to the British he became Herne the Hunter (or ‘Old Hornie’), thence Neck or Nick (a spirit canonised as Saint Nicholas) for the northern peoples. Elsewhere he was Puck or Puca to the Irish and Welsh, Boucca from the Slavic for God and thence Bog was the high god who became a lower god known variously including Bogle and Bogey. 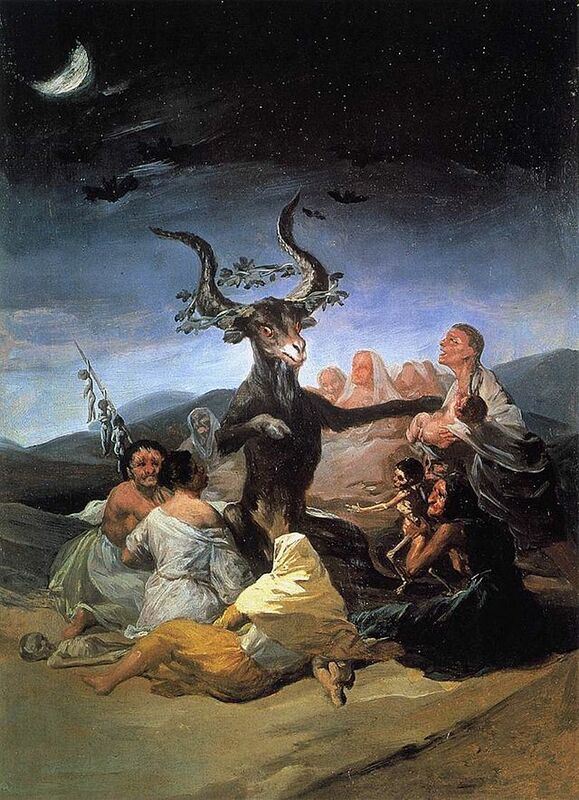 The historical origin of ‘horned god’ worship is that witches are the remains of a pagan cult that supposedly worshipped the Devil as ‘god of the witches’ (Murray, 1970). The central theme of this hypothesis is that images of the Devil are really deities dehumanised by medieval Christianity became demonised by the church (Murray, 1921). There arose a historical origin myth (Davy, 2006) concerning contemporary paganism, and the 20th century Horned God (Hutton, 1995). Even modern scholars have dismissed the theories of Margaret Murray, it is not denied that numerous horned deities and mother goddesses were indeed worshipped in the British Isles during ancient and medieval times (Hutton, 1991). Bailey, M. D. (2008). Witchcraft Historiography. In: Magic, Ritual and Witchcraft. 3 (1). Summer. Basford, K. (1996). A New View of Green Man Sculptures. Folklore. 102. Clifton, C. & Harvey, G. (2004). The Paganism Reader. Routledge, London. Davy, B. J. (2006). Introduction to Pagan Studies. Altamira Press, USA. d’Este S. (2008). Horns of Power. Avalonia, London. Farrar, J. & Farrar, S. (1989). The Witches God: Lord of the Dance. Robert Hale, London. Farrar, S. (2010). What Witches Do. Robert Hale, London. Greenwood, S. (2005). The nature of magic. Berg Publishers. Hayman, R. (2008). The Green Man. British Archaeology. May/June. Hutton, R. (1991). The Pagan Religions of the Ancient British Isles. Blackwell, Oxford. Hutton, R. (1995). 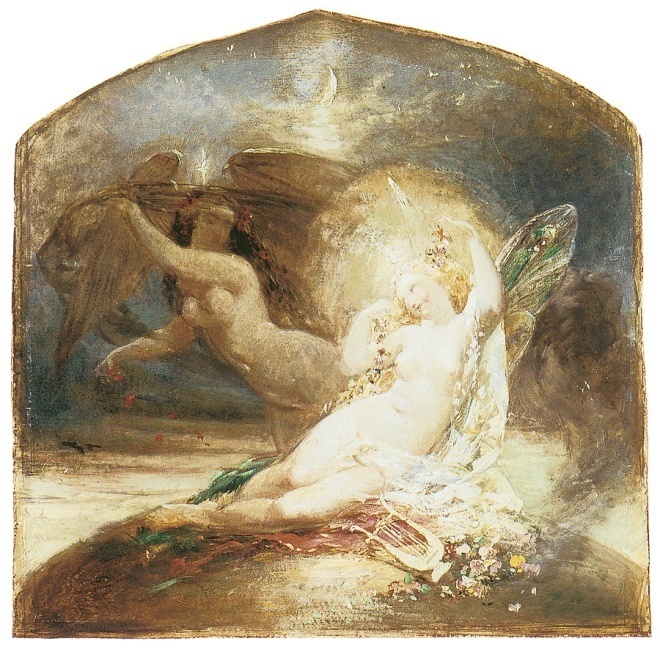 The Triumph of the Moon. OUP, Oxford. Hutton, R. (2006). Witches, Druids, and King Arthur. Hambledon. Luck, G. (1985). 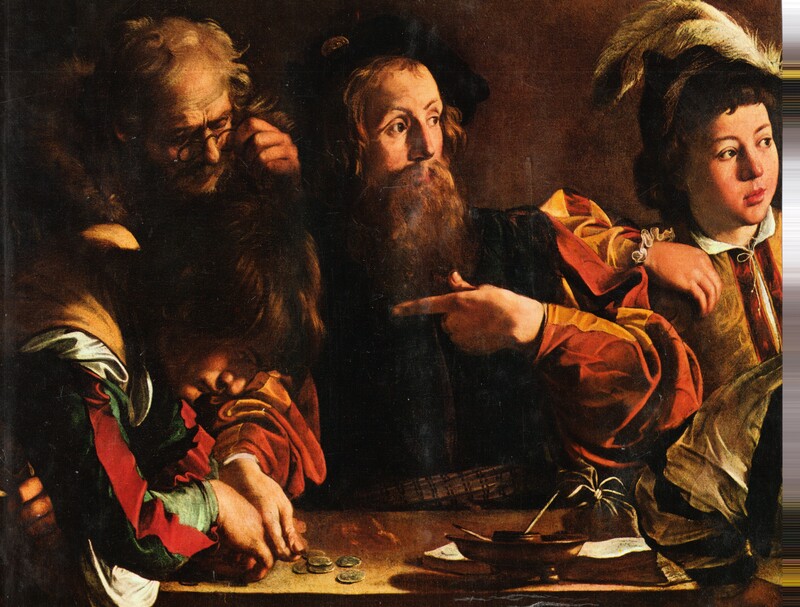 Arcana Mundi. Johns Hopkins UP, USA. Murray, M. A. (1921). The Witch-Cult in Western Europe..
Murray, M. A. (1932). The Horned God. Man. 32 (Oct). Murray, M. A. (1970). The God of the Witches. OUA, USA. Peake, H. (1922). Horned Deities. Man. 22 (Feb). Pearson, J. et al. (1998). Nature Religion Today. Edinburgh UP, Edinburgh. Purkiss, D. (2006). The Witch in History. Routledge, London. Salomonson, J. (2001). Enchanted Feminism. London. SatchellJ. (1999). The Green Man in Cumbria. Folklore. 110. 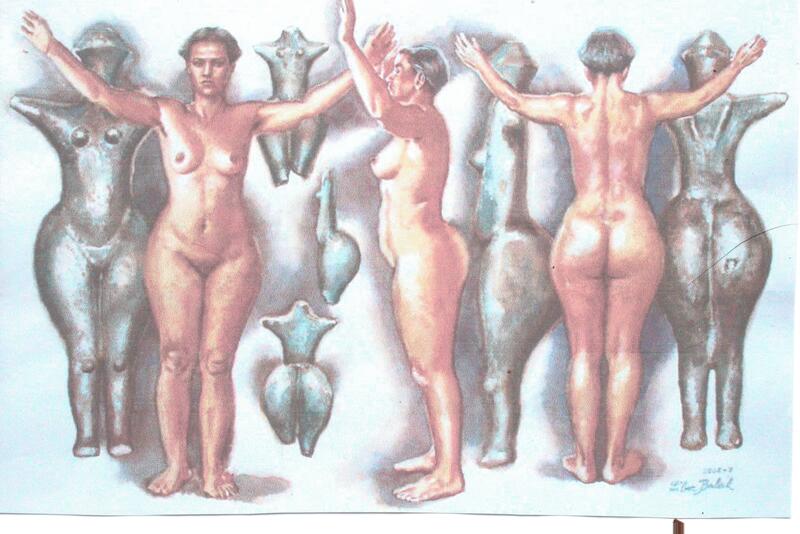 Valiente, D. (2007). The Rebirth of Witchcraft. Robert Hale, London. Wood, J. (1998). The Celtic Tarot and Secret Traditions. Folklore. 109. Pingback: Les divinités celtiques : Cernunnos – Culture druidique.